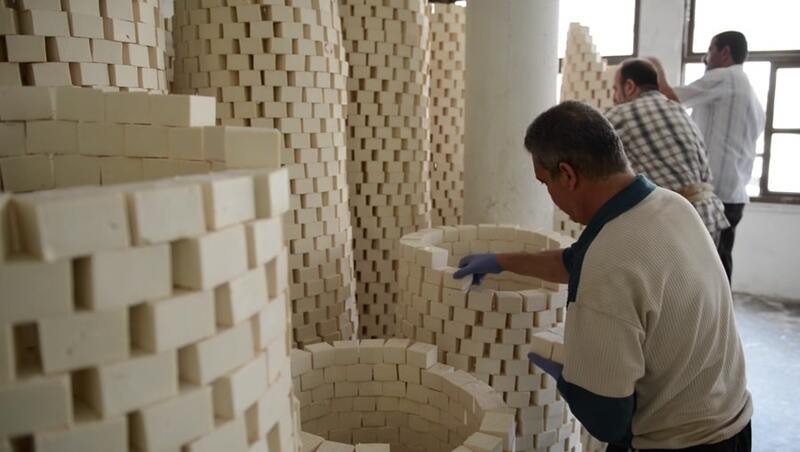 In the city of Nablus in the West Bank, workers at the Toukan Soap factory make natural soap by hand. 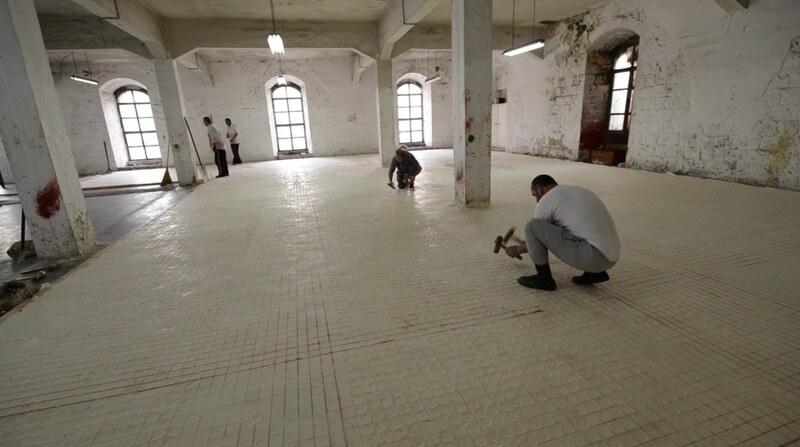 The family-owned company is “the oldest survivor of this once-prominent industry,” one of the two remaining soap factories in a city that was well-known for its soap production as far back as the 14th century. Like Castile soap, the chief ingredients of Nabulsi soap are virgin olive oil, water, and an alkaline sodium compound. The compound is made by mixing the powdered ashes of the barilla plant (qilw) which grows along the banks of the River Jordan with locally supplied lime (sheed). The sodium compound is then heated with water and the olive oil in large copper vats over fermentation pits. The solution of water and the sodium compound becomes increasingly concentrated in a series of 40 cycles repeated over eight days. 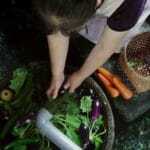 During that time, an oar-shaped wooden tool known as a dukshab is used to stir the liquid soap continuously. 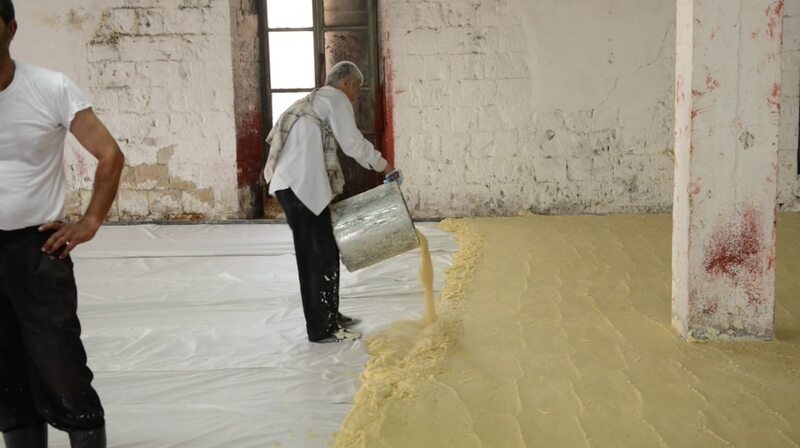 The liquid soap is then spread in wooden frames to set. 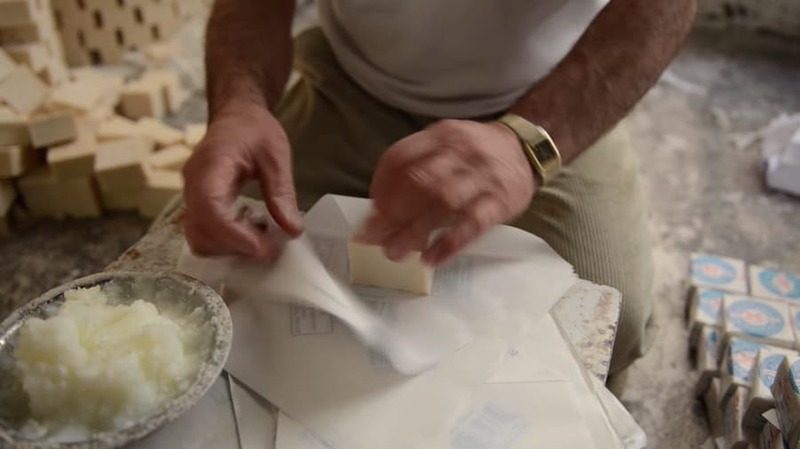 After setting, it is cut into the classic cube shape of Nabulsi soap and stamped with the company’s trademark seal. The soap cubes then undergo a drying process which can last from three months to a year and involves stacking them in ceiling-high structures resembling cones with hollow centers which allow the air to circulate around the cubes. The finished product is ivory-colored and has almost no scent. (Perfumes are never used in Nabulsi soap.) Before leaving the factory, the individual cubes which are to be sold locally are wrapped by hand in paper which is waxed on one side. Cubes which are destined for export are left unwrapped and usually dispatched in stiff sacks to protect them from damage. 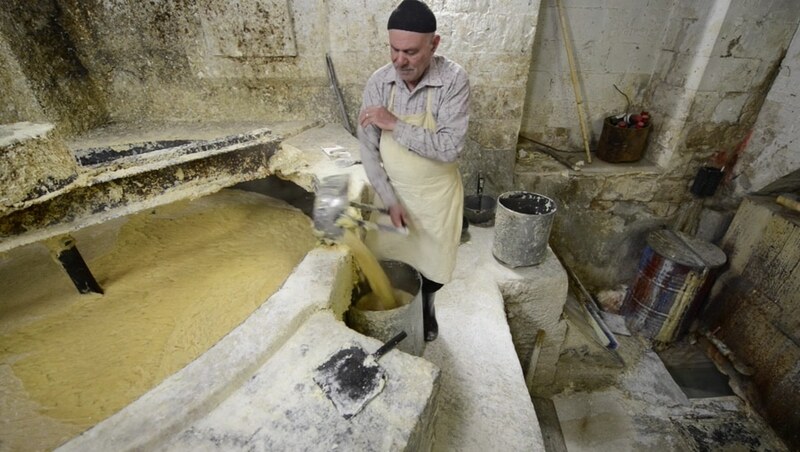 Related photo essay: Crafting traditional olive oil soap in Palestine. 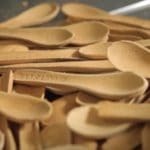 Related videos: The 1,000 year old windmills of Nashtifan, The Japanese handmade paper of Kyoto Kurotani, and more videos about soap, including this 16th generation soapmaker in San Diego.